You'll look great and feel great too! In Bruce County, souvenirs come in all shapes and sizes. Especially sizes. There’s no need to think small while you’re here. When you visit the interior, there are plenty of souvenirs to be hunted down that will fold conveniently into your suitcase or bag. What better way to remember the great time that you had than by wearing and enjoying your souvenir long after you’ve left? You’ll look great, and by supporting one of our local stores, you’ll feel great too. Here, you’ll find something for everyone. Some adventures demand that you be well dressed. In Bruce County, anything goes … as long as you look and feel amazing. This store carries a well edited selection of denim, career, casual and party outfits with labels that compliment one another. When you come to Walkerton, men don’t need to feel left out of your shopping adventure. HisStyle clothing for men offers styles ranging from casual weekend wear, office wear and special occasions. In Bruce County, the guys can be stylin’ too. Done shopping or in need of a break? 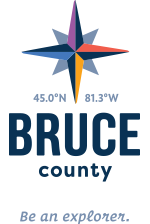 Check out the list of Main Attractions in Central Bruce County.